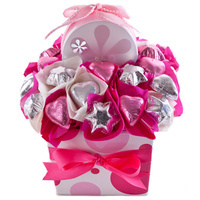 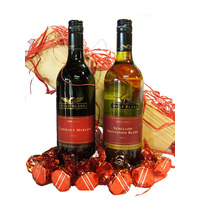 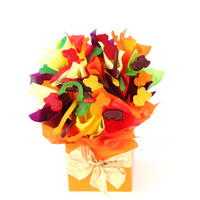 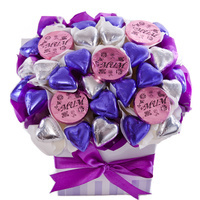 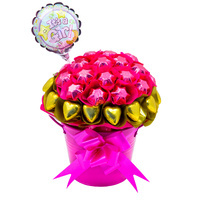 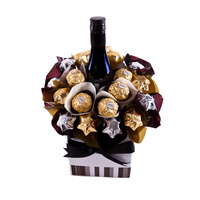 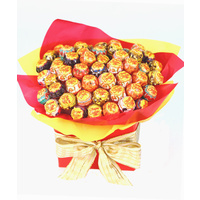 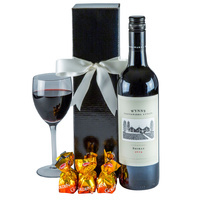 Chocolate Gift Hampers & Chocolate Bouquet Delivered Australia Wide. 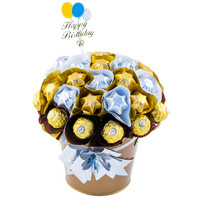 An elegant chocolate & bubbles arrangement. 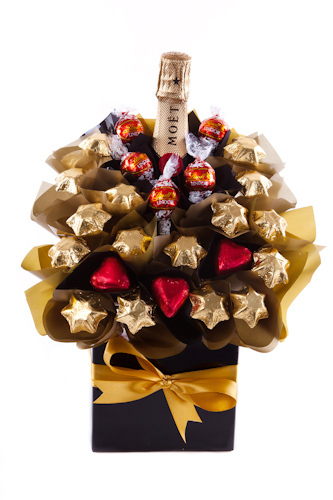 This classy arrangement features Moet & Chandon to spoil and impress. 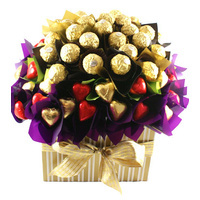 Perfectly packaged with a delectable range of smooth & creamy chocolates including Lindt & Chocolatier. 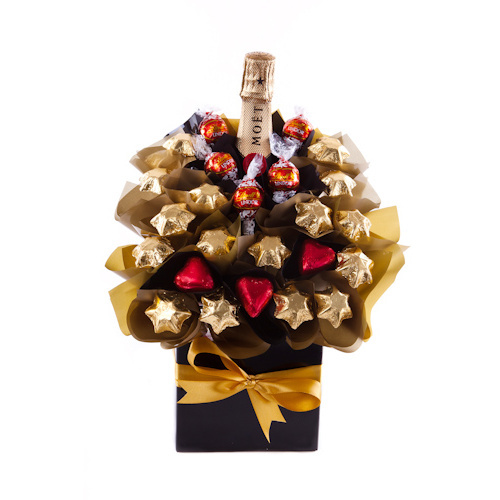 This stunning chocolate hamper includes French bubbly and is perfectly arranged with gourmet chocolates. 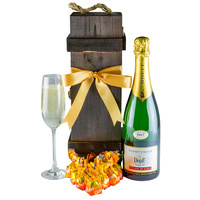 Presented in rich golds and reds this hamper screams style & sophistication. 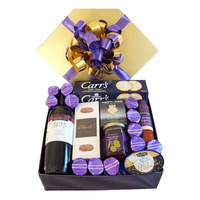 This hamper is perfect for many occassions inlcuding Birthdays, Thank you gifts, Relationsip marketing and anniversary's. 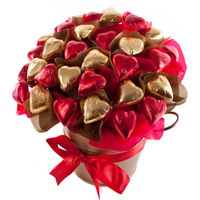 Delivery fee is capped at $96.00 for bulk orders to the same address. 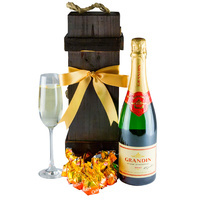 The capped bulk price may not always apply to very remote and rural destinations this will be assessed at the time of ordering.